Health and safety play a crucial role in the realm of work. An optimised workplace promotes productivity, increases satisfaction and ties employees more closely to the company. 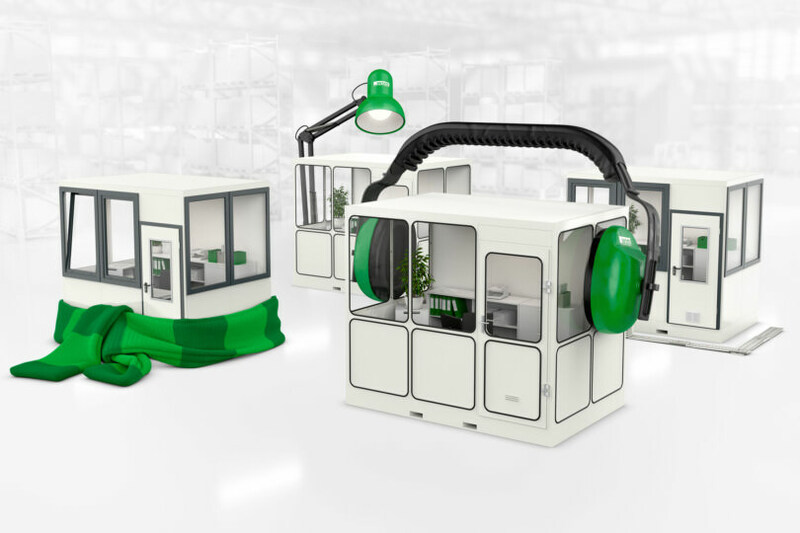 At this year’s LogiMAT trade fair we present the solution for employee-friendly room systems: whether as a compact office, a spacious lounge, a representative meeting room or a complete administration building. With its special configuration and custom-fit furnishing elements, WSM’s mobile room system becomes a turn-key complete solution for a healthy and safe workplace. All-round acoustic room insulation ensures a quiet working atmosphere. Digital light management offers optimum ambient light at all times of the day. An efficient air conditioning system ensures perfect working temperature and air quality. The ergonomic interior design creates a pleasant and productive working environment.